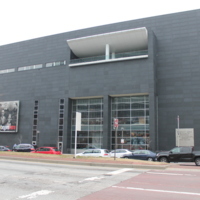 The Reginald F. Lewis Museum of Maryland African American History and Culture was created out of the passion and activism of businessman Reginald F. Lewis. Lewis rose from humble beginnings to earn a place at Harvard Law School, establish the first African American law firm on Wall Street and become the wealthiest African American in the US. In 1993, he died suddenly after a short illness. During his illness, he made known his desire to create a museum of African American culture and after his death, the non-profit foundation started in his memory accomplished that. The museum is located in downtown Baltimore close to one of the several locations of former slave pens. The collection 'explores the African American experience and tells the universal story of the struggle for liberty, equality and self-determination.' The main collection is housed on the third floor and is divided into three sections: Building Maryland, Building America; The Strength of the Mind; Things Hold Lines Connect. Building Maryland, Building America has a heavy focus on slavery, explaining the roles of the enslaved in urban and rural environments. Unlike the cotton plantations of the Deep South, Maryland slavery ranged widely: tobacco plantations, shipyards, oyster shucking and iron furnaces to name a few. Throughout the exhibitions, the interpretive text is supplemented with interactive displays, video and audio presentations and artwork. The overreaching message of the museum is that African Americans have contributed to the US since their initial forced arrival and have worked tirelessly to better their plight; through emancipation, the right to vote, the Civil Rights Movement and into the more recent social movements. The museum does not shy away from presenting the brutal side of slavery and Jim Crow, with slave collars, shackles, reward notices and video in connection to lynching are sensitively displayed. The ground floor of the museum hosts temporary exhibitions and there is dedicated education space for the many school trips they host during the year. The museum also provides learning resources to assist with the local curriculum, offering lesson plans and outreach sessions in local schools. 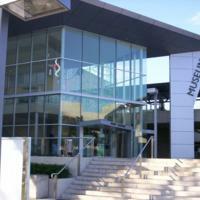 Throughout the year, the museum hosts a diverse range of events. The museum is open Wednesday through Sunday with a small admission fee. 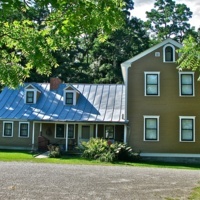 The Harriet Tubman Underground Railroad National Historical Park was established in 2003, the 100th anniversary of Tubman's death, in rural Dorchester County. 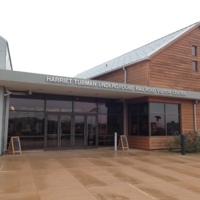 In 2017 the Harriet Tubman Underground Railroad Visitor Centre was officially opened. The visitor centre was a collaborative project between the US National Park Service and the Maryland Park Service. The building houses exhibition space, a research library and gift shop. Also on location is a public pavilion and legacy garden. The design of the site was built around the importance of northward movement in the slave's quest for freedom. The legacy garden stretches out north between the buildings, offering an expansive and hopeful view. The view south is more enclosed and fragmented, reflecting the intolerable existence for those enslaved. The visitor centre houses an exhibition that chronicles the life and accomplishments of Tubman; her birth into slavery, escaping and subsequently returning to free friends and family, her work as a Union spy and her activism after the Civil War. The story is told through a combination of interpretive text, videos, murals, dioramas and her own powerful words. The park and visitor centre are open seven days a week and are free to the public. The visitor centre also provides further information on the Harriet Tubman Underground Railroad Byway Driving Tour, which has 36 stops throughout the Eastern Shore of Maryland linked to Tubman's life. 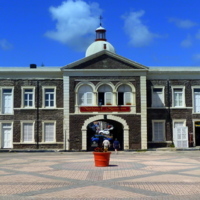 Housed in the former courthouse of Antigua's capital, St John's, the Museum of Antigua and Barbuda opened in 1985. Managed by the Historical and Archaeological Society, it interprets the history of Antigua from the island's geological birth until its political independence in 1967. 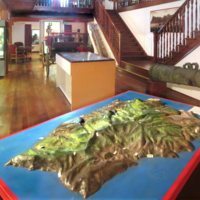 Collecting is central to the museum's ethos and it has developed a large collection of items relating to its local history through acquisitions and donations. It also has a digital records library with over 25,000 records available to browse. 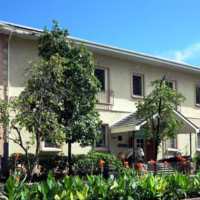 The exhibits themselves trace the history of Antigua chronologically. The first gallery maps the geological development of the island using natural history specimen and artist interpretations alongside text panels. There are also displays that showcase the traditional crafts of the island, including basket weaving. The second gallery then explores the arrival of the Europeans to the island and the development of the plantation economy fueled by the transatlantic slave trade. Here the displays examine what life was like on the plantations, using objects that highlight the brutal nature of enslavement, as well as archaeological samples that provide an insight into the everyday life of the enslaved. Some text panels provide information about instances of resistance, alongside images of supporting archival sources. The final gallery explores how the island developed following the abolition and then the emancipation of the slave trade, two world wars and political independence. Here, objects are complemented with oral testimonies from local people. 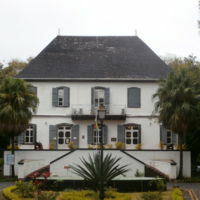 The museum also has a gallery for temporary exhibitions focussing on different aspects of Antigua and Barbuda's local history. It also runs a programme of community events, and a series of education sessions for schools. 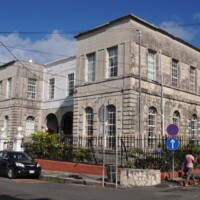 The National Abolition Hall of Fame and Museum occupies the upper floor of the former Presbyterian Church of Smithfield, built in 1820. In 1835 it was the site of the first complete meeting of the New York State Anti-Slavery Society, and it opened as a museum to represent the history of the abolition movement in 2004. The lower floor houses the Smithfield Community Centre. In 1994, the building was added to the New York State and National Registers of Historic Places. In 2004, it was designated as a site on the New York State Underground Railroad Heritage Trail. The Hall of Fame and Museum honours abolitionists and their achievements, periodically inducting new members. It also aims to educate about the legacy of the movement and to inspire its visitors to engage in the 'new struggle' to end racism. The museum features an introductory film that provides background context to the abolition movement, regarding the transatlantic slave trade. Written text panels, archival materials and art are used to add further depth to the narrative of the American abolition movement. The museum also runs a programme of visitor events, and education activities. The Museum of African American History operates across two sites, one in Boston and one in Nantucket. 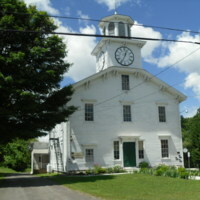 It has preserved four historic buildings, and operates two heritage trails. All of this combined makes it the largest African American Museum in New England. The museum's mission is to preserve, conserve and promote accurate interpretations of African American contributions to New England. The African Meeting House and the Abiel Smith school, both built during the 1800s form the centre of the museum, showcasing the strength of community organisation and black craftsmanship through the centuries. 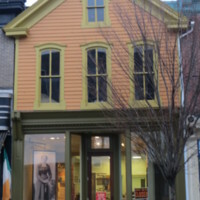 Both buildings now contain exhibitions, a library and museum stores that provide interpretation to New England's free black communities prior to the Civil War. In addition, the interpretation also discusses the roles of white abolitionists in securing the legal end of slavery. 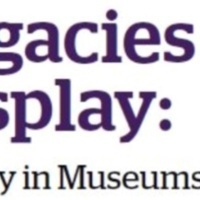 The sites also house temporary exhibitions and run a range of education sessions for groups. 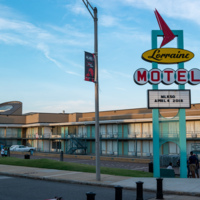 The National Civil Rights Museum is housed in the Lorraine Motel, where civil rights leader Dr. Martin Luther King Jr. was assassinated on 4 April, 1968. It was founded in 1991 with the mission of sharing and raising awareness about the lessons and legacies from the Civil Rights Movement. The museum makes use of historic collections and a range of interactive exhibits, including film and audio, to tell these stories. 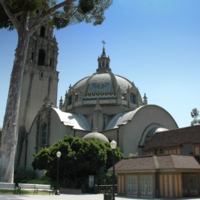 Recently renovated in 2013-14, the museum is one of the top rated by the American Alliance of Museums and was a founding member of the International Coalition of Sites of Conscience. 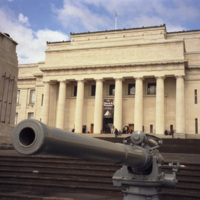 The museum has five permanent exhibitions that include 260 artefacts, 40 film installations, oral histories and interactive media to guide visitors through five centuries of history. The exhibitions explore Civil Rights protest techniques- including sit ins, bus boycotts and freedom rides- as well as the Black Power movement and the assasination of Martin Luther King Jr. and its aftermath on the Civil Rights movement. The first exhibition that visitors enter explores the longer 'Culture of Resistance' that was present in the United States prior to the Civil Rights movement, as seen through resistance to the system of slavery that dominated the country for centuries. Focussing on the period 1619-1869, the exhibition includes large scale interactive maps that emphasise the global impact of the transatlantic slave trade. There are films and art installations in the form of sculptures that show the terrible conditions inflicted on the enslaved people. Illuminated channels provide statistics and further information, including the number of people captured, goods cultivated and wealth created. The museum also has facilities for temporary exhibitions, both on the site and online, and runs an immersive education programme for both children and adults. 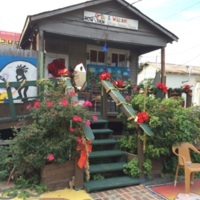 The Odell S. Williams Now and Then African-American Museum was established by Sadie Roberts-Joseph in 2001. The museum is named for Odell S. Williams, a well-loved educator in the Baton Rouge area. It was founded as Joseph identified a need in the local community for a cultural space that celebrated African American history. The museum has a range of vibrant exhibits, showcasing the contributions of local African Americans through history, across a range of different fields. These include, music, cuisine, education, politics and business. Visitors can step onboard an authentic bus from 1953 and explore Baton Rouge's role in the civil rights movement. The museum's display on agriculture looks at the early plantation economy of the area, and the key crops that were grown then. It also explores the experience of the enslaved Africans that who used as labour on those plantations. It has a broad events programme, and runs the area's annual Juneteenth event.